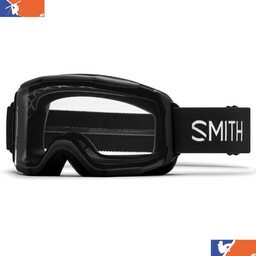 Whether you're a skier or a snowboarder, there is one piece of equipment that you will always need: Goggles. Goggles are important, especially when you're flying downhill in the snow. They not only protect your eyes, they allow you to see more clearly than you would normally. This is a big safety bonus; you are far less likely to hit someone or something when you are wearing goggles. 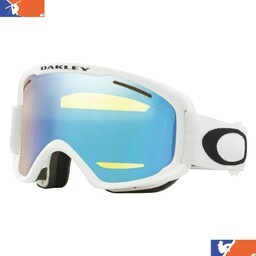 And the eye protection that ski and snowboard goggles provide is invaluable: Good vision is a must on the slopes. 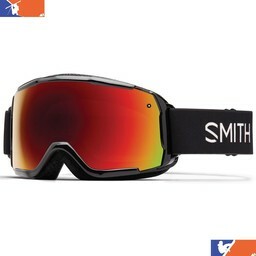 Goggles for both skiers and snowboarders are made by a number of well-respected companies. 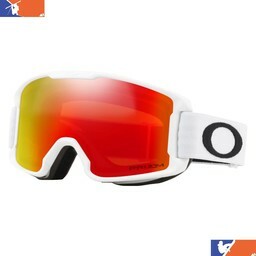 Oakley, Smith, Scott, and Giro all make excellent goggles that appeal to all sportsmen who enjoy the snow. 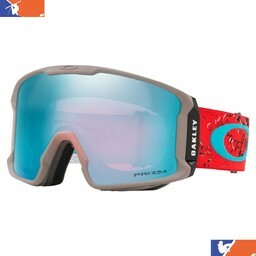 These goggles also come in a number of styles and colors. Let your personality show, even in your safety equipment! When choosing your goggles, you should pay attention to the lens shapes. There are two common types: Cylindrical lenses, that curve over your eyes, but leaves the lens flat, and spherical lenses, that curve vertically, as well as horizontally. Cylindrical lenses are generally cheaper, but can produce more glare. Likewise, spherical lenses are more expensive, but provide more peripheral vision and less glare. 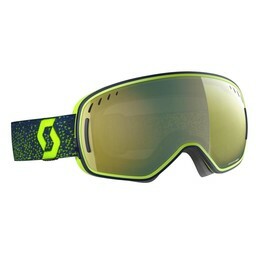 Another important aspect of ski or snowboarding goggles is the ventilation. 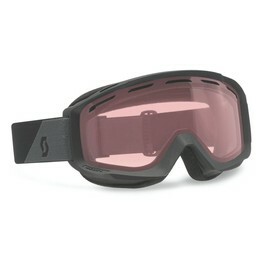 Because fogging is such a problem, most goggles have a number of ways that they prevent it. Most will have double-layered lenses, an anti-fogging coating, and, perhaps, vents. 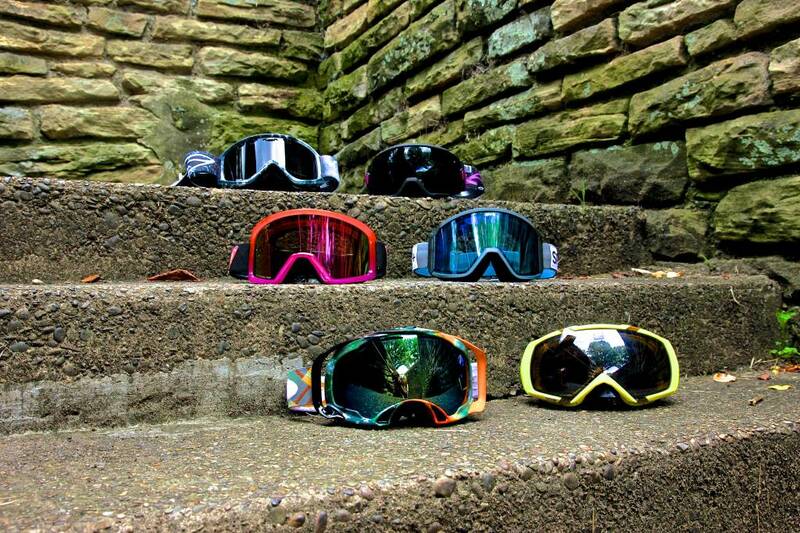 All of these will help to keep your goggles from fogging. Perhaps most important is the light transmission allowed by your goggles. The visible light transmission (VLT) of your goggles can determine how well you see. The visible light transmission that your goggles will need will change based on the time of day you will be on the slopes. For a cloudy day, you will do better if you choose lighter tint. This will allow more light to enter your lens, giving you better vision. These lenses tend to be warm-colored, such as rose, yellow, or green. On the other hand, lenses with darker tints are perfect for bright, sunny days. Working like sunglasses, these lenses will filter out blinding sunlight, allowing for less glare. These lenses are normally gray, copper, or brown. 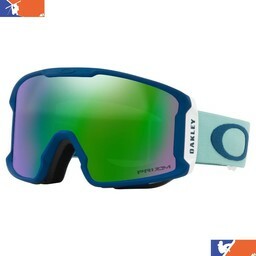 If you prefer to ski or snowboard by moonlight, you'll probably want a pair of perfectly clear goggles,without a tint. If you find yourself out and about at multiple times during the day, or night, it might be worth it to buy more than one pair of goggles. Whatever type of goggles you buy, you should always make sure that they have a good fit. Goggles should fit snuggly, but not tightly, and shouldn't shift while you are moving. Elastic bands are something to look for, as they generally help ensure a good fit. 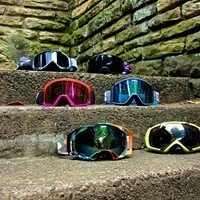 Always take care of your goggles, and clean then before they become too dirty to use. The last thing you want is to be halfway down a mountain and realize that you can't see!